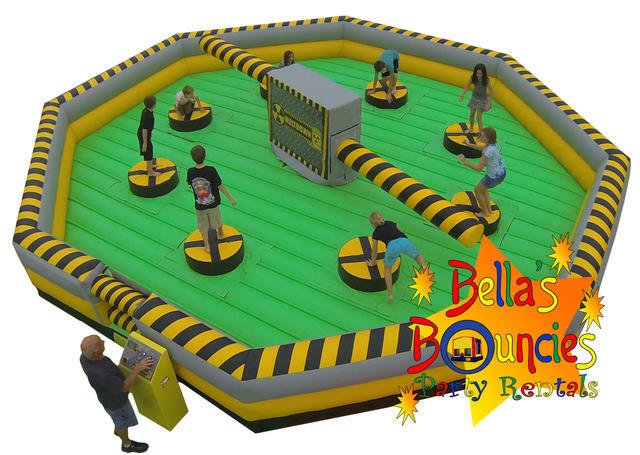 Meltdown is Bella's Bouncies new eight player action game, which challenges your stamina, agility and reactions. Not one but two spinning boom arms try to knock you off your podium. You have to duck underneath or jump over the foam boom. Who will be the last one standing? 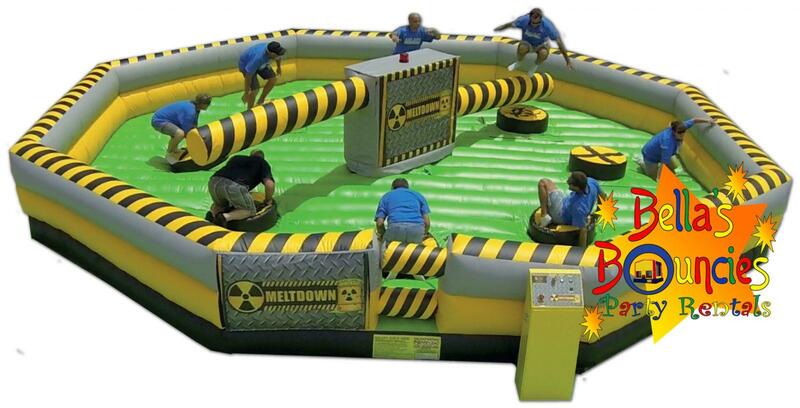 The game is played in a 30′ x 30′ octagon inflatable, with eight podiums. 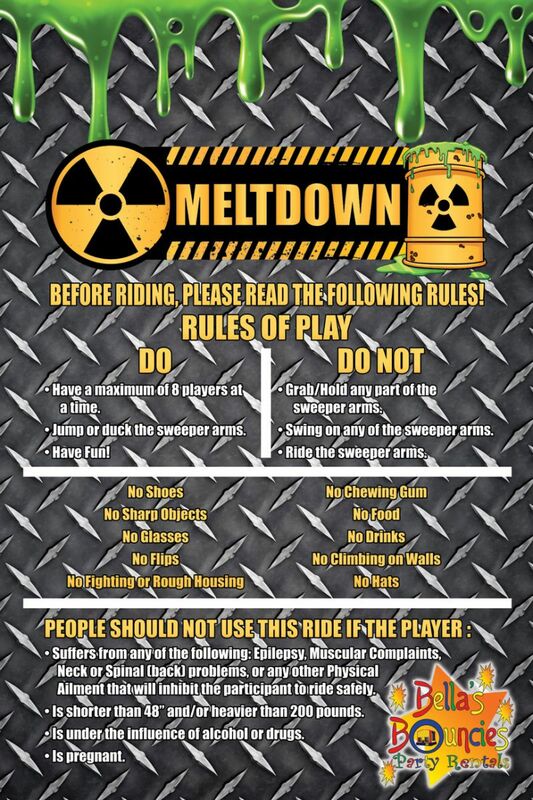 Meltdown is a fun game for the whole family. Price: $795 for 2 hours + $200 for each additional hour. If you want a multi day rental, you must call us to make the reservation. © Bella's Bouncies, Inc. All rights reserved.